In this post, this image looks to have too much structures around it. But, it is not. It is very simple one as I see it. It is simple when I happen to understand the Test Strategy and what is the help out of it. Having said this, why is that simple, because, it is from the fundamentals and nothing else. 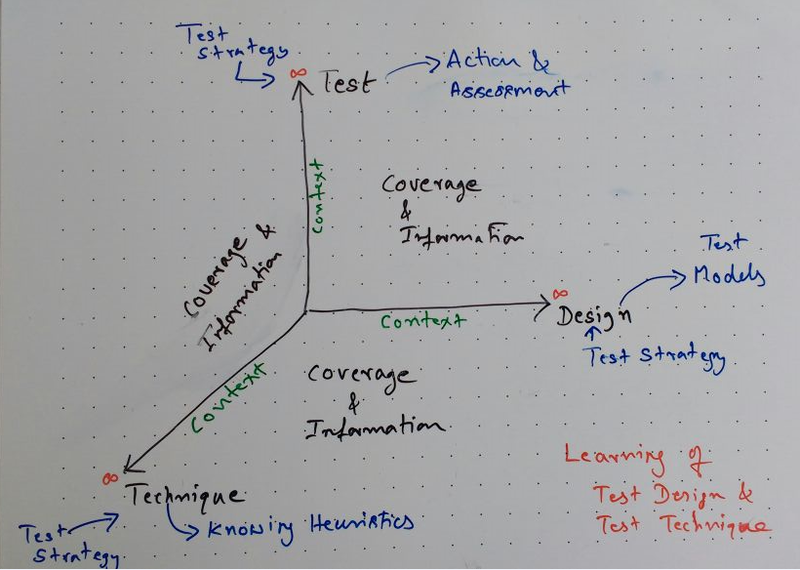 If I understand, Test Strategy is set of ideas which directs my test ideas and test execution, then the test strategy has influence on Test Design. Where the test design consists of these elements necessarily within it and it is as below. How do I operate my tests and execution of it. The below picture says the same in the equating form. The same applies when I have to figure out how to approach the automation for assisting my testing. I use this and when it requires a change in the context, I will do it accordingly and try to get most out of it. 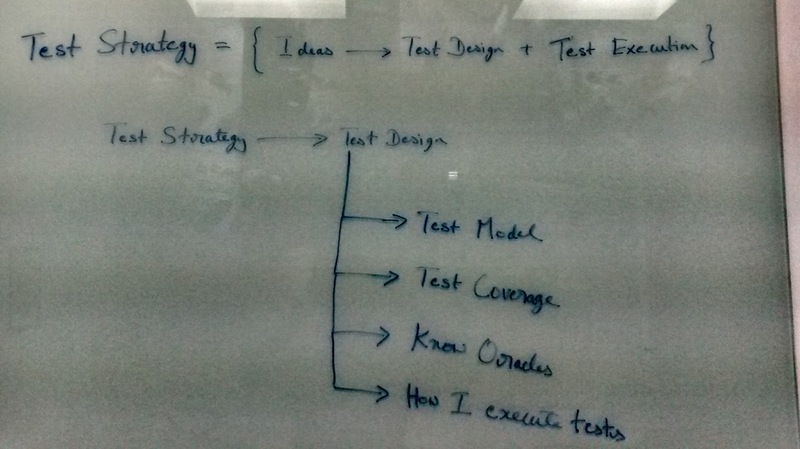 As the test design and test execution in turn helps the ideas to evolve better as the testing progresses.